$9,249.99 each List: $15,302.00, You Save: $6,052.01! Calfskin Heads: All-natural calfskin has been the preferred material for timpani heads for centuries, and many professional timpanists still hold that opinion. Dresden-style Pedals: these pedals have a clutch-lock mechanism that allows the pedal to be mechanically locked in place when not in use, keeping the pitch of the drums true. To hold with tradition, this pedal has a ratchet with interlocking metal teeth that will lock in the pitch and hold it true. 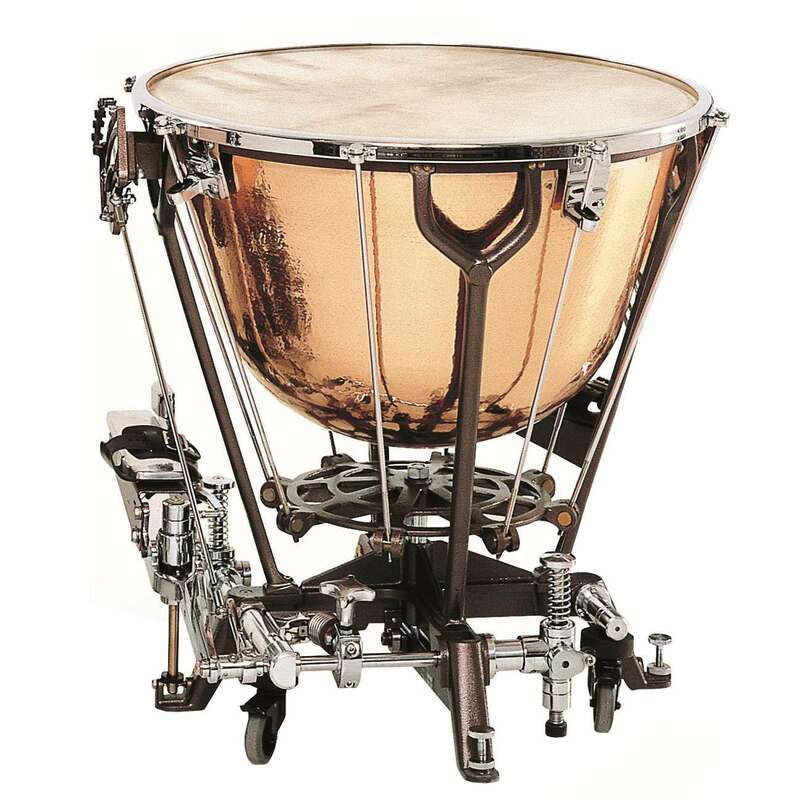 Wheels: timpani, for all of their glory, are bulky and heavy. Wheels were invented long ago to help people move bulky, heavy objects.